U.S. troops may not be with family this Thanksgiving, but they're still getting a taste of home. 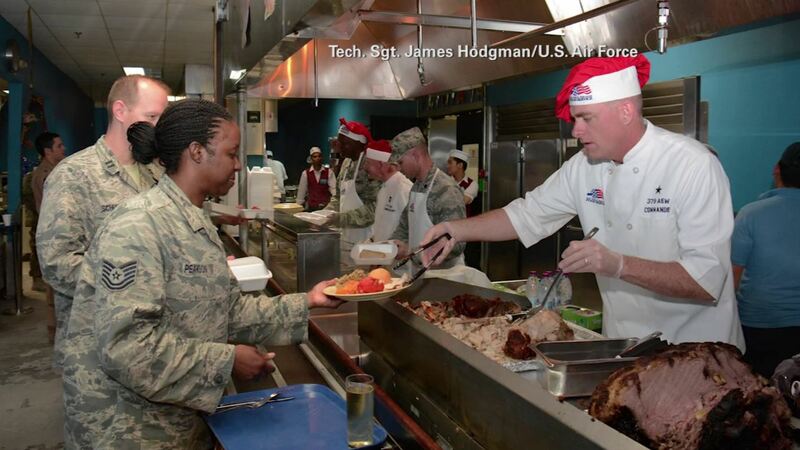 Thousands of service members out of the country are celebrating the American holiday with a classic turkey meal. The Department of Defense said this year it shipped out about 52,000 pounds of turkey to bases around the world. It can take up to three months for the supplies to arrive at some remote locations.